If you take the time to read all the statements and remarks that fill our political space these days, all you will see are mostly words of anger, vilification and scorn. Political dialogue is now about putting people down and attacking them personally. It is about smear and innuendo. It is gutter politics at its worst. Politics has become a clash of personalities rather than a clash of ideas, a conflict of interests instead of a conflict of visions. Our political leaders seem to be caught up in their own ambitions, their own petty quest for power, influence and control even as the nation slowly goes to the dogs. Witness the ongoing war of words between UMNO and PKR (with the MCA and MIC barking on the sidelines), between UMNO and PAS, between Najib and Anwar, between Zaid and Anwar, etc. and note the personal attacks. Accusations of being unpatriotic, anti-national, traitors to race and religion, morally compromised, etc. are liberally traded. Anwar seems to have earned the dubious distinction of having turned the most people off – Mahathir, Najib, Zaid and PRK to name a few. Is it because he is too divisive or is it because they are all afraid of him? 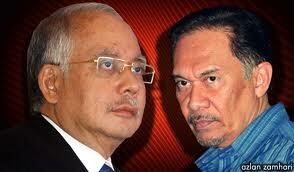 The trouble with Malaysia is that everything invariably comes down to personalities. Politics is a not a clash of world views or ideologies but of personalities and egos. It ought not to be this way. Instead of this nihilistic approach to politics, lets focus the discussion on the agenda that really matters – how to move the nation forward, improve governance and transparency, effectively fight corruption, boost competitiveness, reduce crime, enhance the quality of life for our citizens and regain our standing abroad. That’s what people really care about. It’s high time our politicians take their petty squabbles and personality conflicts out of the equation and focus on serving the people. The whole nation is being sodomized by the disgraceful behaviour of our political leaders. At this rate, many Malaysians might be forgiven if they conclude that none of the current crop of politicians are worth supporting. What a shame! Malaysia deserves better!